Used 1993 Dodge RAM 250 Reg. Cab 8-ft. 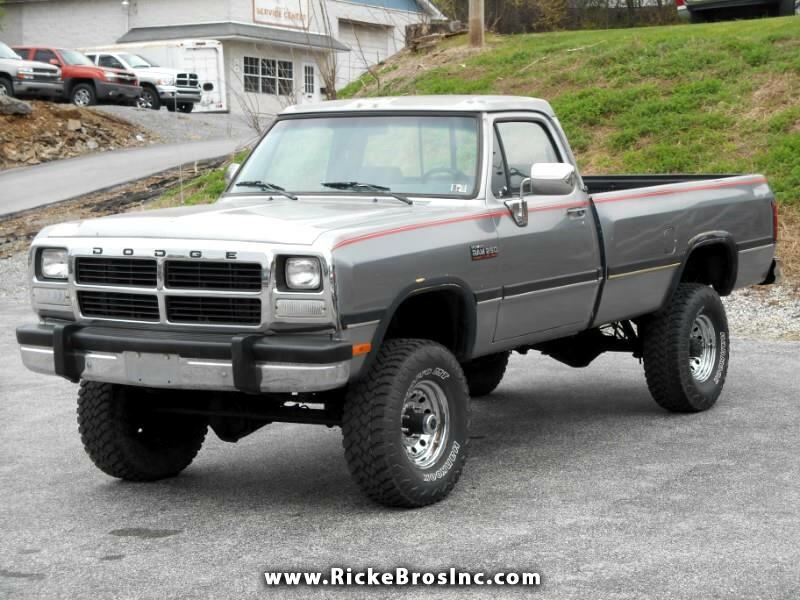 Bed 4WD for Sale in York PA 17406 Ricke Bros Inc.
We have a 1993 Dodge Ram 2500 4x4 5.9L 12v Cummins Turbo Diesel for sale. It has New Pa State inspection with New Tires. This truck is in great shape and is ready to go. Message: Thought you might be interested in this 1993 Dodge RAM 250.